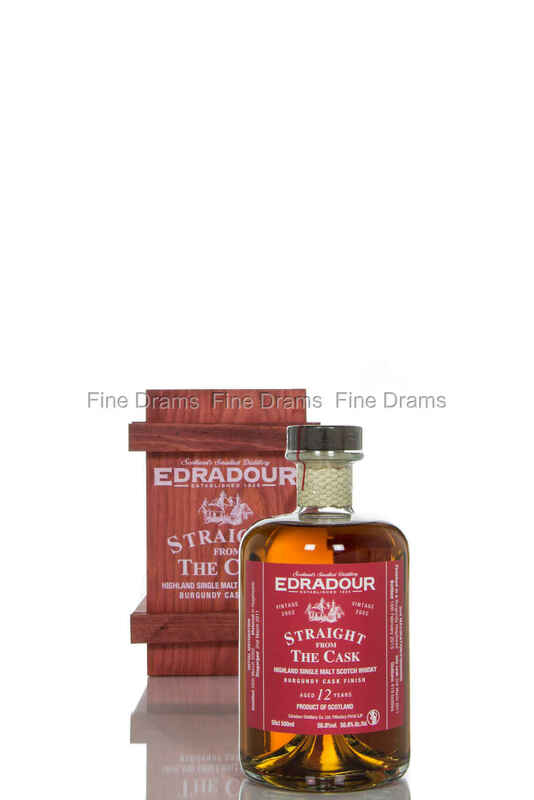 Yet another stunning “Straight From The Cask” single malt whisky from the small Edradour distillery. This one was distilled and laid down in a Hogsheads, on the 26th of March, 2002, and then laid to rest for almost 9 years before being transferred to a Burgundy Hogshead, on the 2nd of March, 2011, for a finishing period of almost 4 years. It was bottled on the 10th of February, 2015, at cask strength, with an outturn of 419 bottles. It comes in a small, red, wooden box.